What nobody knows: Actually, there were five of them! 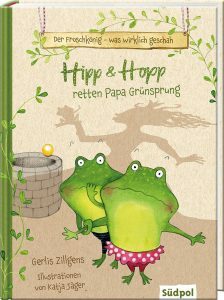 While his parents are on a research journey, the little dog Oskar has to move in with his Grandpa, who lives in Bremen. As if this were not bad enough, he gets mobbed by two pompous mutts in his class. 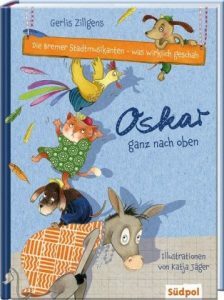 Grandpa is not much help, as he and his colleagues – the girl donkey Agatha, the cat Dumpling, and Schroeder, the rooster – have just been fired: they are too old! So the mood is dire in Bremen. But then Oskar has a wonderful idea: If they stand on each other’s backs, they will be tall and invincible!